Huma Temple Sambalpur- Are you looking for travel Leaning Temple of Huma and confuse what to do? 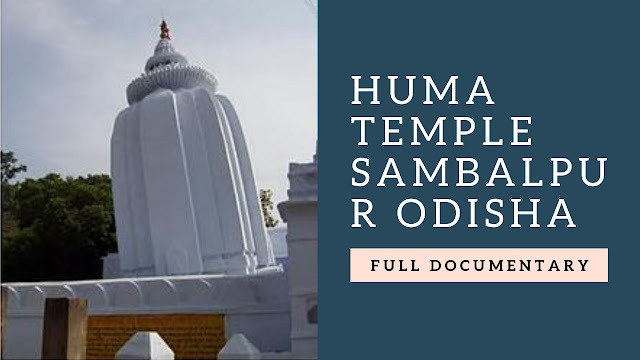 Here is a small post which gives you the best information regarding Huma Dham Temple Sambalpur, Today I am giving you the best information about Huma Temple. Huma Temple is a beautiful place to visit. The Leaning Temple of Huma (Huma Dhama Temple) is one of the famous tourist attraction in Sambalpur. Dhama Temple is considered one of only two leaning temples in the world which is located in Huma (25 Km from Sambalpur Town). Huma Temple is a Hindu based temple where God Shiva is worshiping. Why It is called Leaning Temple? Because of its structure and design. Nobody knows why this is leaning? even historian not sure about the reason behind this. This website has good information on this click here. So you can say it's a mystery. According to the local people or historical record says that Ganga Vamsi Emperor Ananga Bhima Deva 3 built this temple. How To Reach Leaning Temple of Huma? Today I am Going to share with you, the best tips which help you to reach Dhama Temple. First of all, you should go through Google Maps, Here are the links that show you the exact location of Huma Temple. It's not difficult to find a bus or auto but at times it's very difficult. If you want to travel by bus then you should go to the government bus stand Sambalpur there you can find the City Bus. Another thing you should go with auto but it's kind of expensive for you to book an auto. It's up to you what you choose traveling. If you have your vehicle then it's ok nothing worry about it. Before you leaving Sambalpur you should check out the official website of Sambalpur. By Road- The Distance between Sambalpur to Huma is 28.2 Kilometres Via -Sonepur road. It will take 45 Minutes to reach there. By Train- Sambalpur Railways station is the nearest station from Huma. You can book a taxi or Auto. By Air- Jharsuguda Airport or Veer Surendra Sai Airport is the closest to Huma which is about 51 Kilometer from Sambalpur. I found 3 hostels that were providing a good meal to the tourist. 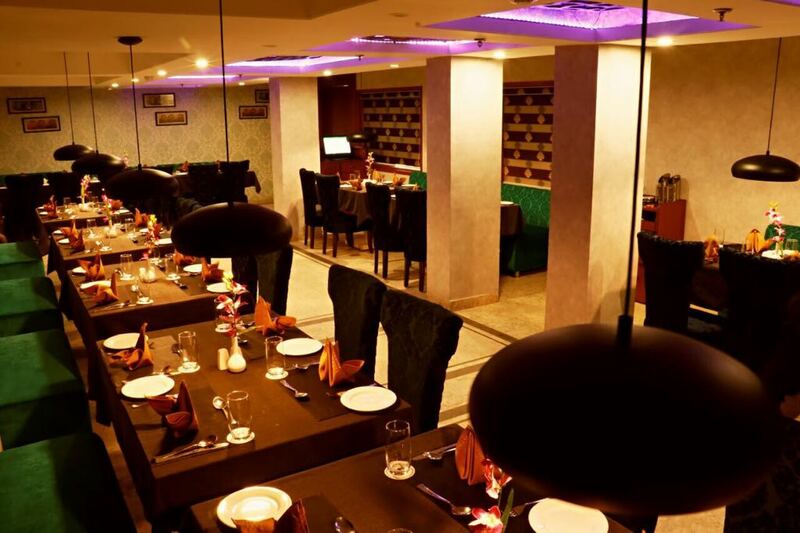 One plate of meal carried Rs-50/- or according to your order. I suggest you make biscuits or snack with you before you travel. Subsequently, you should carry a water bottle with you, it's really necessary during the summer season. If you do not have one then buy there but it cost a little. 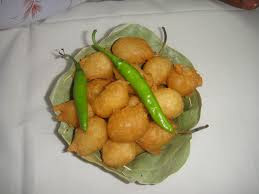 I found out Sanjib Tiffin Hotel is good for snacks. Are you from other state or country then you should book a room. It doesn't cost much but before any booking considers visiting booking sites. I will give you a list of Name and rates so check carefully. What is the best time to visit Huma Temple? It's between Sept to January is the best time to visit Dhama Mandir. Shivratri is the prominent festival of this temple. Shivratri festival took place between February to march so you do not miss this opportunity. It is said that a milkman used to cross the river and sell his milk to nearby villages. He has a small family and depended on agriculture. As you know Huma is a small village and there are other villages nearby like Bhairopali, Nuagaon, Girandola pali. People used to cross Mahanadi earlier by small boat but now the bridge is built up which laid to good communication. One day the milkman supposed to crossed Mahanadi river and found out underlying rock crop out and that is Lingam. He offered his dole of milk which was immediately consumed by the rock. He was shocked. He was not able to think what is that? Subsequently, people got to know from him and later part of the year the king Ganga Vamsi Emperor Ananga Bhima Deva-III built this temple. Later part of the decade King Baliar Singh (1660–1690 A.D.) was renovated this temple. Kudo Fish is a special kind of fish that available on the bank of river Mahanadi. Most of the visitor came here to see the fish. Here nobody tries to catch them as their belief to be the assert of Lord Shiva. You can feed them with your hand they are so familiar to the visitor then you can imagine. A lot of fish food or sweet available their you can buy from the shop and feed them. It is believed that feeding Kudo fish is a ritual. Hirakud Dam is the longest dam in the world. It is also called soil made dam which is built in 1957 on Mahanadi river. Hirakud dam is located in Burla (15 Kilometers from Sambalpur Town). Its built across Mahanadi river which covers 25 kilometers of land including dike and stands across the river. It is inaugurated by Pandit Jawaharlal Nehru former Prime Minister of India. This Dam is not only used for irrigation but it is multipurpose river valley projects. Here are some YouTube videos of Hirakud Dam. How to Reach Hirakud Dam? By Road- You can travel by City bus from Sambalpur or you can book an auto from Sambalpur. If you are coming from Bargarh side then you should travel by bus. Its ok if you have your vehicle. Hirakud dam has its beautiful nature which attracts the visitor. People also love to watch Dike from Nehru Minar and Gandhi Minar (A tower). Tourist also enjoys the park which located near the Dam. Ghanteswari Temple is one of the leading tourist attraction in western Odisha. It is considered one of the beautiful and holiest places in Sambalpur. People love to visit this temple, not for spiritual concern but also to explore the Chiplima Hydroelectric Project (Chiplima Power House). Every year tour around the country came here to explore also to do the picnic in Chiplima. Ghanteswari Temple is located at 33 Kilometers south-west of Sambalpur. Why it is called Ghanteswari Temple? As the name indicates, you can find bells(Ghanti)everywhere, people love to offer bells to Maa Ghanteswari for the fulfillment of their wishes. A large number of pilgrimage visit here to fulfill their wishes. People came here to visit also to enjoy their time by doing a picnic. A lot of places available near Ghanteswari to enjoy the meal. If you wish to do a picnic near Ghanteswari then I suggest you go to the back side of the temple or you can enjoy your meal at the bank of the river. How to Reach Maa Ghanteswari Temple Chiplima Sambalpur? By road:- You can travel by bus it cost around 30 to 40 rupees from Sambalpur. Maa Samleswari temple is one of the central attraction among other tourist places in Sambalpur. This is a Hindu temple which dedicated to Maa Samleswari (Maa Samlei). It is believed that the name Sambalpur is derived from Samleswari. This temple is located in the bank of Mahanadi river(Western Part) of Odisha. People came here for experiencing spirituals environment also to explore Sambalpur. How to Reach Maa Samleswari Temple? By Road- 4 Kilometers from Sambalpur Private Bustand. You can book an auto to Samleswari temple, it only cost rs 30 rupee. Gudguda Waterfall is one of the natural tourist attraction among other places in Sambalpur. This is one of the natural picnic spots in Sambalpur. This place is fully covered with dense forest. You can't find any vehicle. You love to spend your whole life in this place. Gudguda Waterfall is not a big waterfall because of it so pleasant and chill environment that every one love to stay in that place. How to Reach Gudguda Waterfall? By Road- It takes 2.30 Hrs to reach Gudguda Waterfall from Sambalpur Bus stand. The bus fair could have cost you 50 to 60 rupee. Debrigarh Wildlife Sanctuary one of the natural habitation and best tourist attraction in Sambalpur. It is located near Hirakud Dam, its covered 346.91sq.kms of land including forest areas. A lot of animals live in this sanctuary like Tiger, Leopard, Bear, Chital, Sambar, Deer and migratory birds. Debrigarh Wildlife Sanctuary is open every day expect rainy season. How to Reach Debrigarh Wildlife Sanctuary? By Road- 40 Km distance from Sambalpur. Enjoy your holidays with the help of these shopping malls. Are you looking for Interesting videos then watch this and share this videos with your friends. The Leaning Temple of Huma is one of the best tourist attraction in Sambalpur. Huma Dhama temple and its mysterious story give us a straight sign of mythical presence in the society. Dham Temple is also famous for its Kudo fish, which attract the majority of tourist during the season. You can find interesting facts about Kudo fish. Everyone loves to visit Huma temple Sambalpur then what are you waiting for just pack your bags and came to Huma temple. If you like our blog post then don't forget to share our post with your friends. If you have any questions regarding Huma temple then feel free to ask in the comment section below.